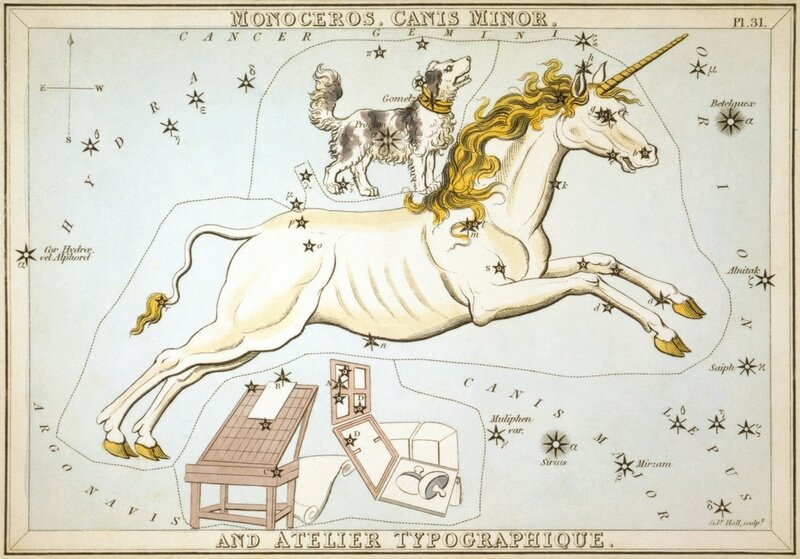 The constellation Canis Minor, the Lesser Dog, is most commonly associated with the Teumessian Fox of Greek mythology. The Teumessian Fox was the fox that was destined never to be caught, but when it was ravaging Thebes, Laelaps, the dog who always caught its prey, was set after it. When Zeus observed the never-ending chase, he turned the two animals into stone, and placed their likenesses in the stars so that the chase could continue for all eternity; and so the Teumessian Fox became Canis Minor, and Laelaps became Canis Major. Occasionally, different animals from Greek mythology were associated with Canis Minor, including the hunting dog of Orion, and Maera, the loyal dog of Icarius.